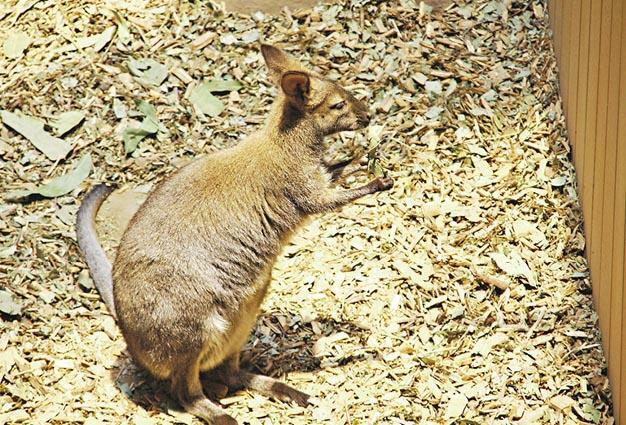 【明報專訊】The red-necked wallaby (紅頸袋鼠) is just like a super-cute, mini version of the kangaroo. In fact, wallabies and kangaroos belong to the same animal family, and they are all marsupials (有袋動物). Marsupials are a unique group of mammals because the females of most species "bring their own bag" — they have a pouch (小袋)! It is for neither holding water nor holding food, but is a baby carrier. Let's see how the pouch of a red-necked wallaby works!